Spinning transition starting on Ta Prohm wat and then pitching up to the sky and trees and spinning. 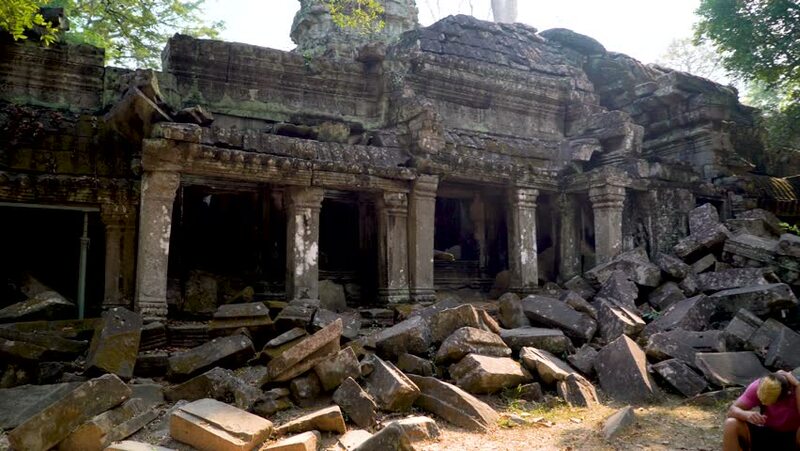 4k00:14Cambodia Angkor Wat temple ancient ruin buildings Preah Khan. A religious architecture landmarks buildings complex near Siem Reap built by the Khmer empire. 4k00:11ANGKOR WAT, CAMBODIA - MARCH, 2017: tourist on excursion among the ancient walls of Angkor Wat temple in Cambodia on March, 2017.
sd01:14CIRCA 1960s - The Genesee River provides water power to the city of Rochester, New York, in 1963.